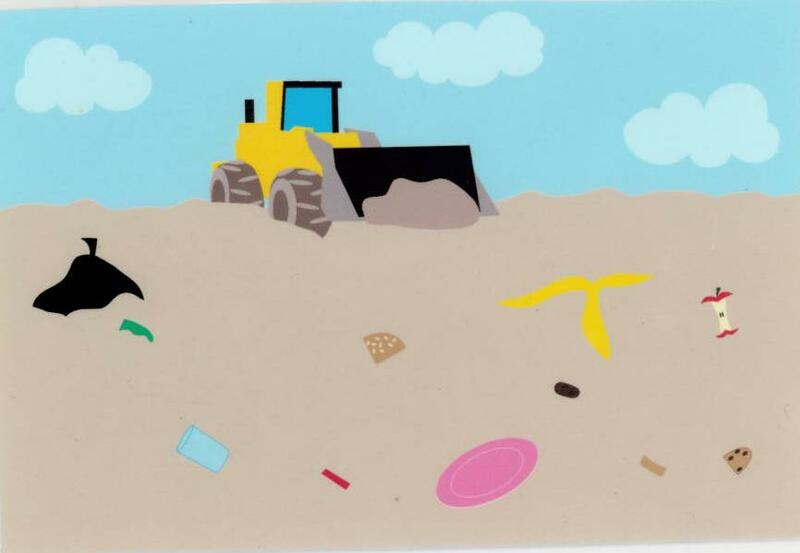 Last month, we got kids thinking about where their trash ends up with Trash Talk and Loop Scoops. But let’s start at the beginning. Where does our food come from? 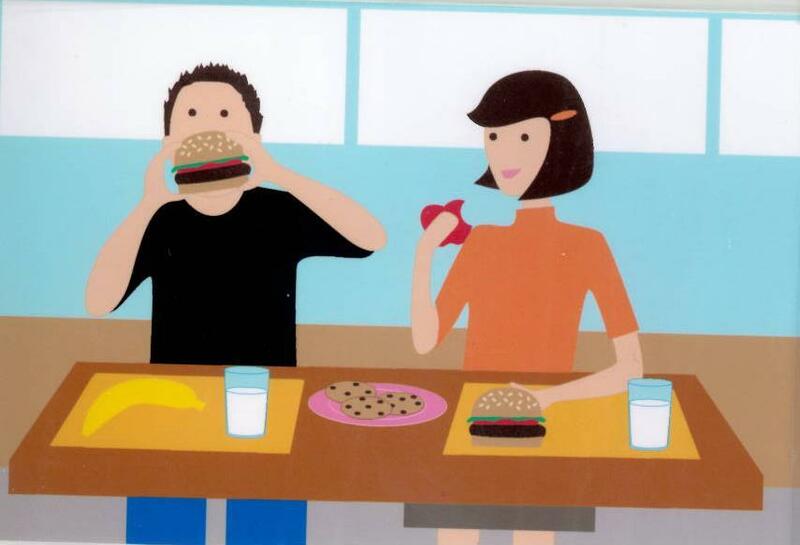 How many places does the slice of cheese on our burger see before it ends up on our plate? 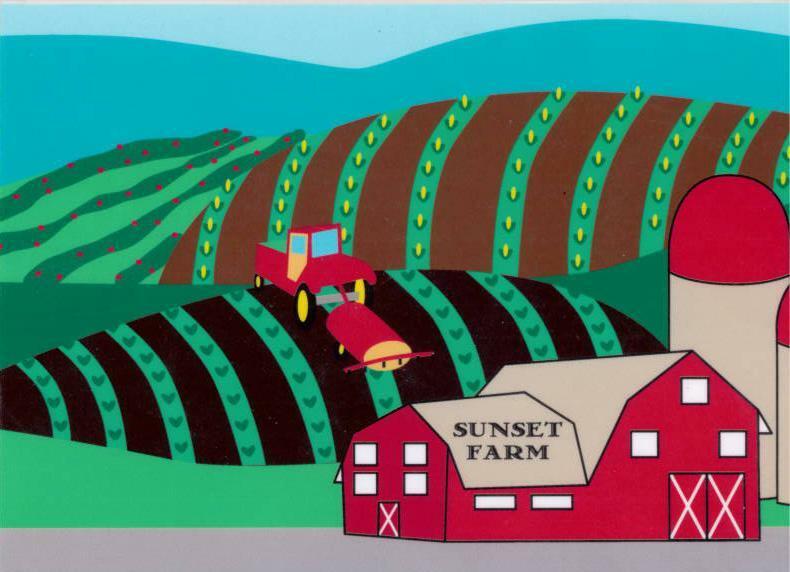 The journey starts here at “Sunset Farm”. But why are we starting on a corn field if we’re trying to get to a slice of cheese? To feed the cows! Unfortunately, most cows in the US are fed corn rather than the tasty grass that their stomachs were built to digest. 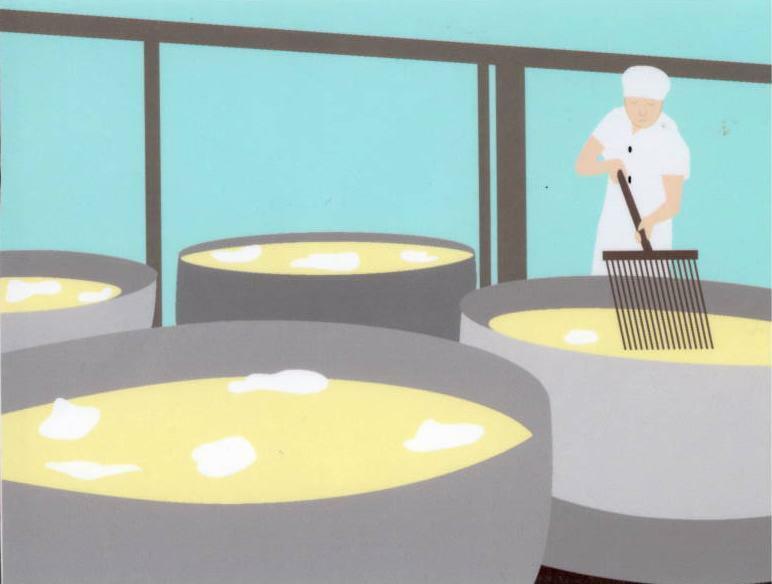 The cow’s milk then has to be transported to the cheese factory. That’s two big truck rides so far for one slice of cheese! The cheese then gets stored in a large warehouse with other grocery goods. 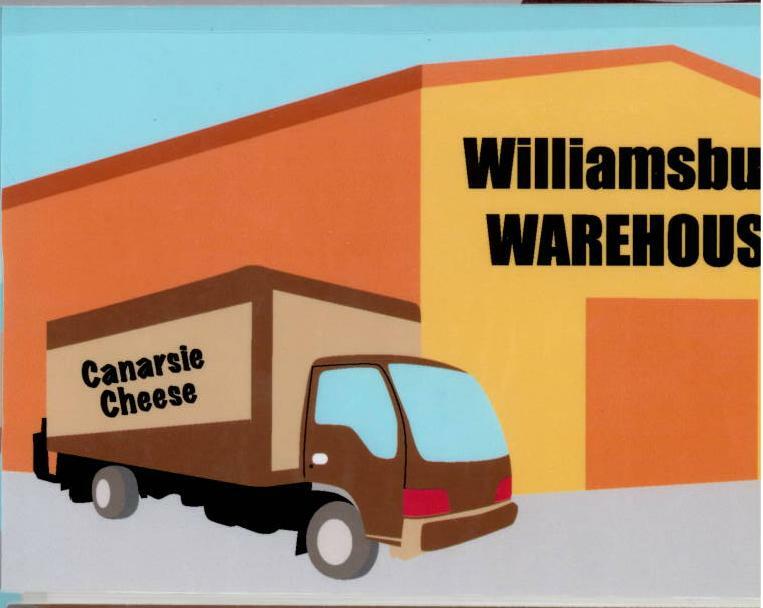 A truck picks up the cheese from the warehouse and takes it to the grocery store where it’s stocked on shelves and finally awaits your purchase. Your cheeseburger can now be assembled and enjoyed! And now what? What about the packaging your cheese slice came wrapped up in? What about all your other food scraps? Where do they end up? Most of the time, they end up in a landfill. Now, here’s the challenge: After students have pieced together the journey of their cheese (there are twenty cards or steps for the cheese alone!) they have to figure out how to remove pieces of the production-distribution-consumption-waste system to make the whole thing more sustainable. How can we get this slice of cheese to travel less? 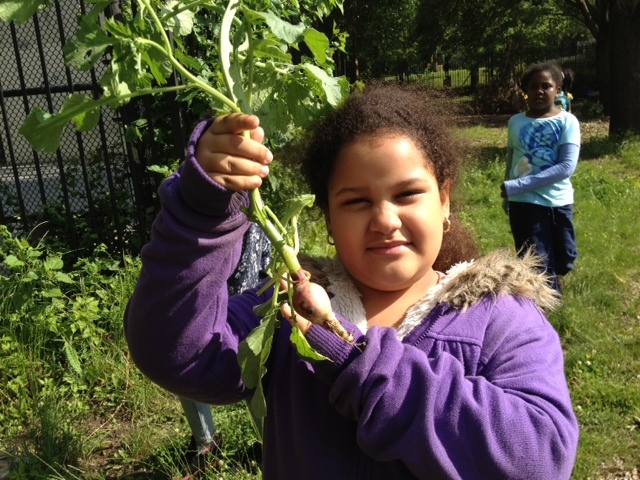 This activity can lead to great discussions on Farmer’s Markets, local food, and composting. Want to try this activity with your class? 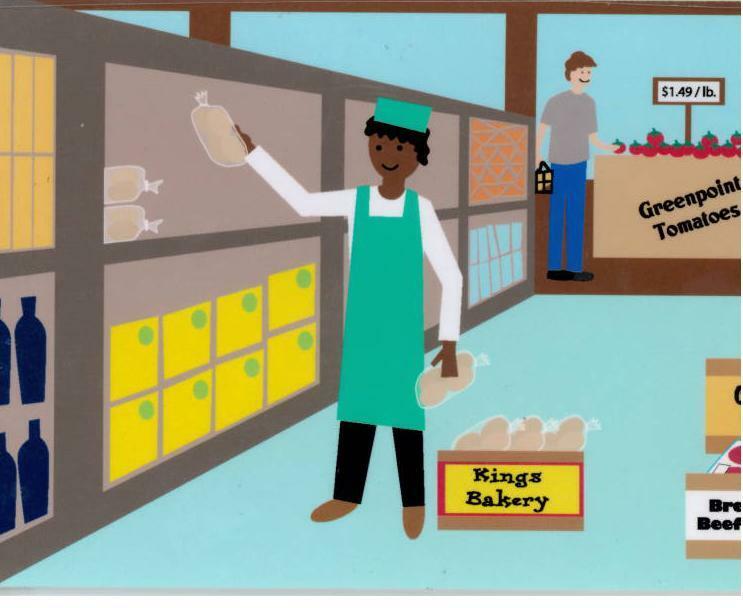 Email GoGreen[at]Brooklynkids.org for a PDF version of the full set of Hamburger life cycle cards! In our last post, we started thinking about where our food comes from. Here are a few food ingredients whose plant source might surprise you! 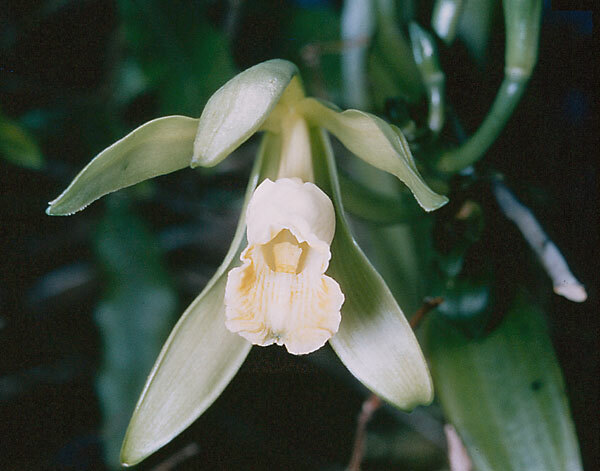 Vanilla comes from the seeds of a vanilla orchid. 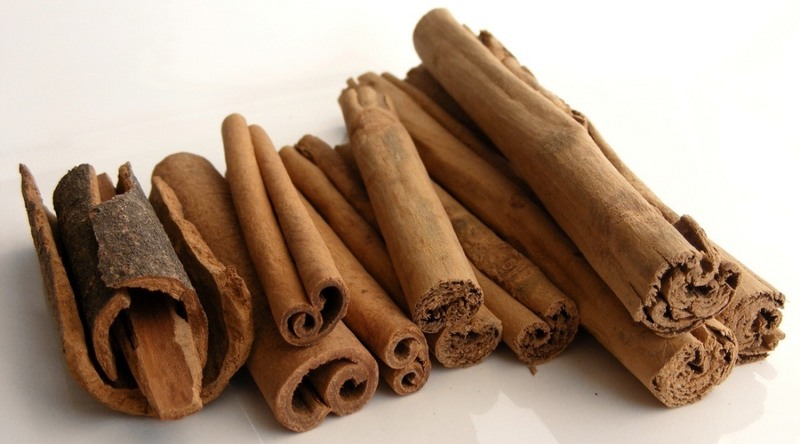 Cinnamon comes from the bark of a tree native to Southeast Asia. 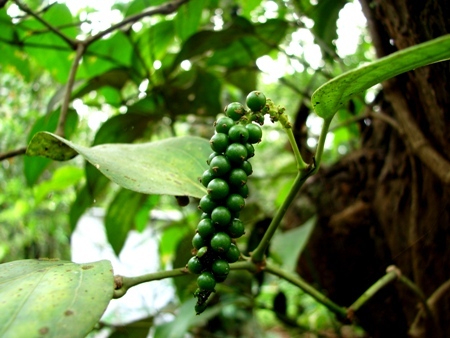 Black pepper comes from the seeds of a woody vine in the rainforest. Ask your students to write down their favorite meal. Then see how many ingredients they can name. Which ingredients come from plants? See if they can take it one step further and name the plant sources of all those ingredients. This could be an excellent research project. Have students report back on their most surprising findings. (The fungi and minerals in our food might throw them for a loop!) 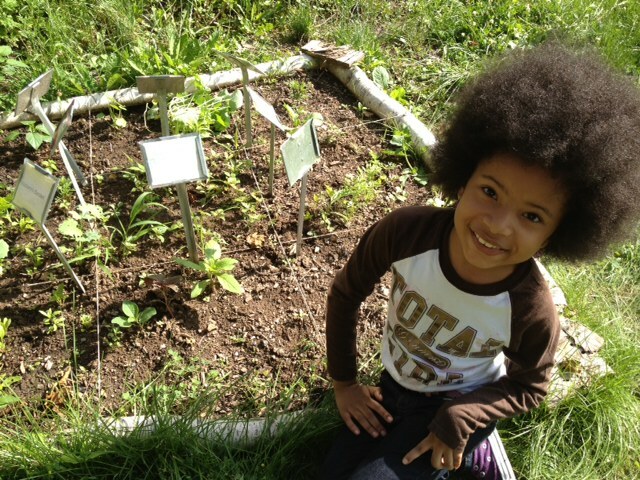 Students could even compose a collage of all the plants in their favorite meal. An example of tracing an ingredient to its plant source might go something like this: Burger to Beef Patty to Cow to Corn Plant. This food investigation could go in many directions and offer some unique teaching moments. How do they know what the cow in their beef patty ate? Students might get stuck on the multisyllabic chemical ingredients in some of their favorite processed foods. Do chemical foods offer the same nutrients and plant foods? What exactly are “artificial flavors”? We’d love to hear where this food activity takes your class! 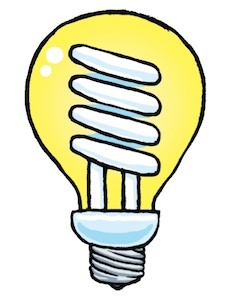 Here’s a sustainability epiphany that many kids may be surprised by. Almost all food either comes from plants or the animals that eat plants! It’s easy to look at a carrot or an orange and understand that it came directly from a plant, but what about candy, cheese burgers, or pancakes? It can be hard to make the seed-to-plate connection when your food doesn’t seem to have much to do with a garden or a farm. Eric Carle’s book “Pancakes, Pancakes!” could be a great tool for little ones starting to think about where their food comes from. Of course, the beautifully crafted pictures in this book offer a nostalgically outdated version of our food system (think pitchforks and red barns vs. combined animal feeding operations and genetically modified seeds), but the book succeeds in getting the wheels turning regarding how much nature goes into a simple meal. “Pancakes, Pancakes!” follows a young boy on a farm as he follows his mother’s request to track down all the ingredients needed to make his yummy breakfast. Yesterday, we had some feathered visitors from BKFarmyards join us at the Brooklyn Children’s Museum for a program sponsored by National Grid. Take a look at the fun! 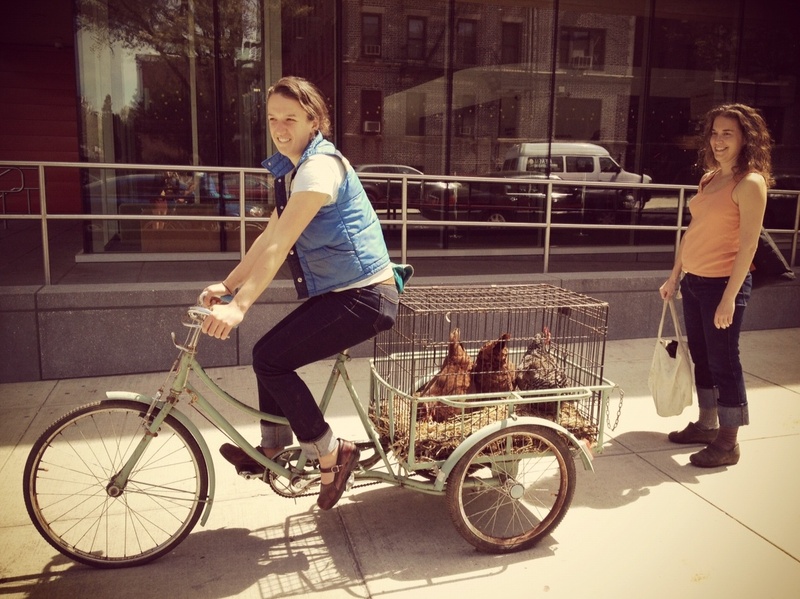 Madison and Stephanie arrived on a bicycle with three hens visiting from their coup at Imani Garden down the street. These ladies are graduates of the Chicken Apprenticeship program offered by BK Farmyards. 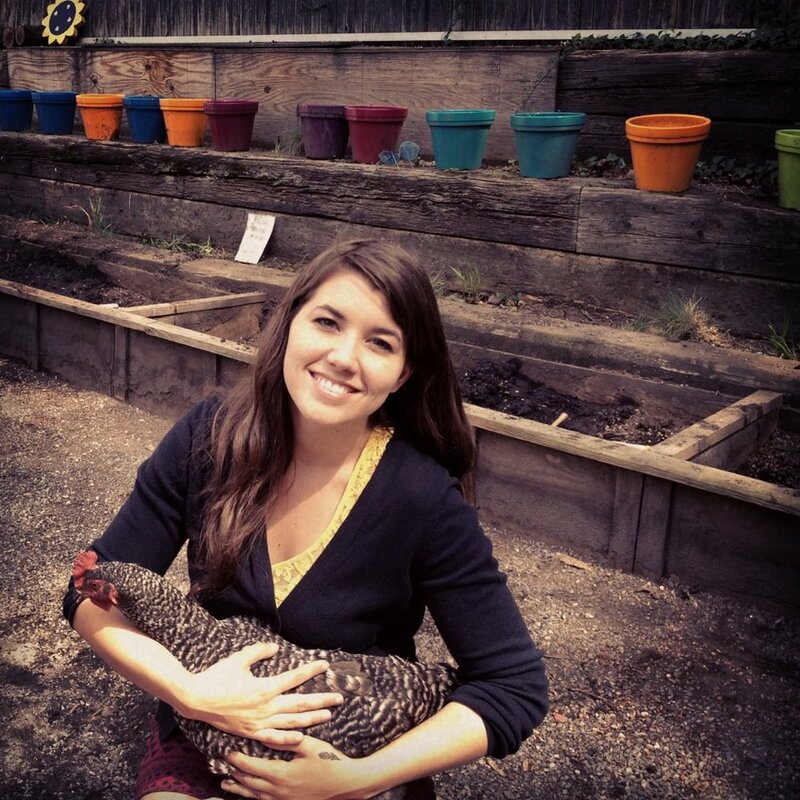 The program runs for three months and leaves you with the knowledge to begin raising your own hens in the city! The program begin at the end of May and applications are being accepted now. Kids had the chance to pet the chickens and asked some awesome questions: What is that red thing called on the top of their heads? A comb! Why do the Chickens peck at the ground? They’re looking for worms and seeds to munch on. We got a surprise when one of the hens laid an egg on the spot! 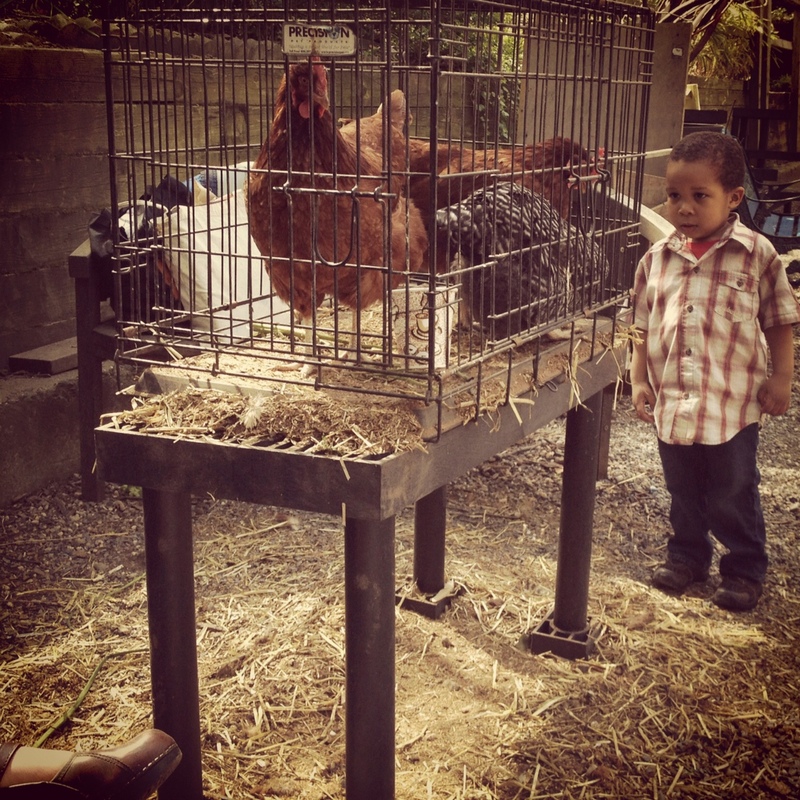 Talk about getting kids to understand where their food comes from…they were able to feel the warm egg! 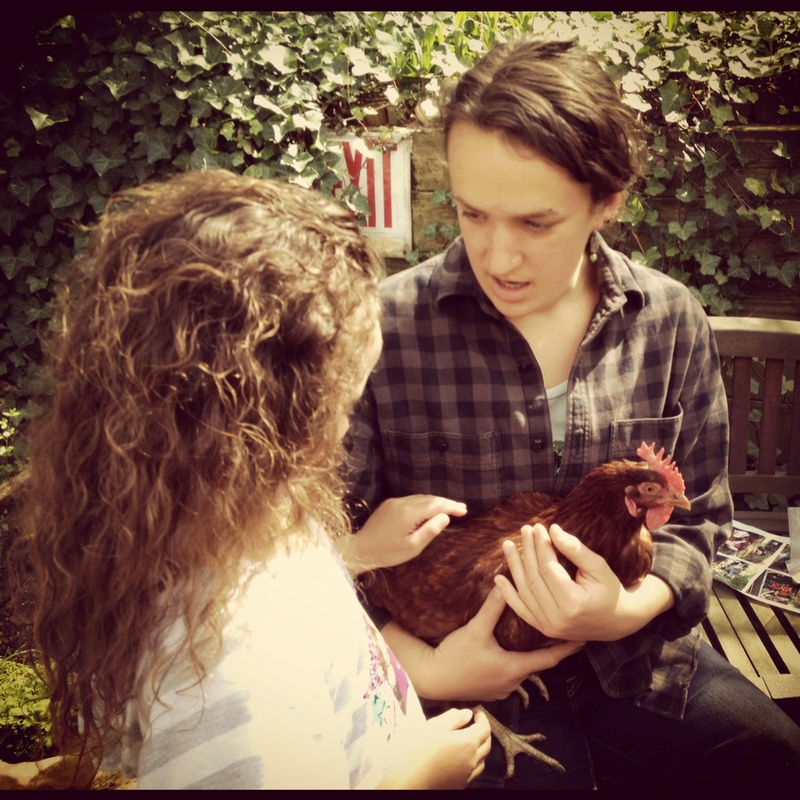 I thoroughly enjoyed getting to know these friendly hens. Have you ever been to Imani Garden? 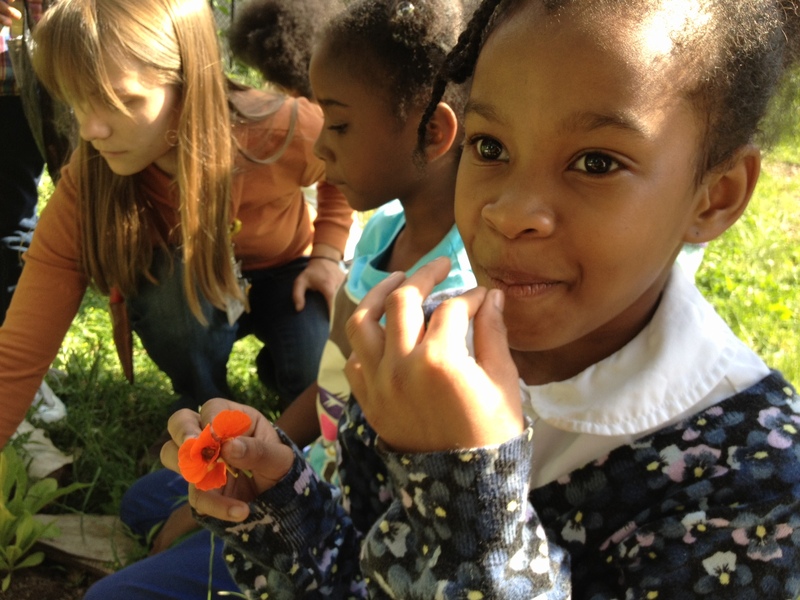 BK Farmyards offers field trips and farm tours for school groups. 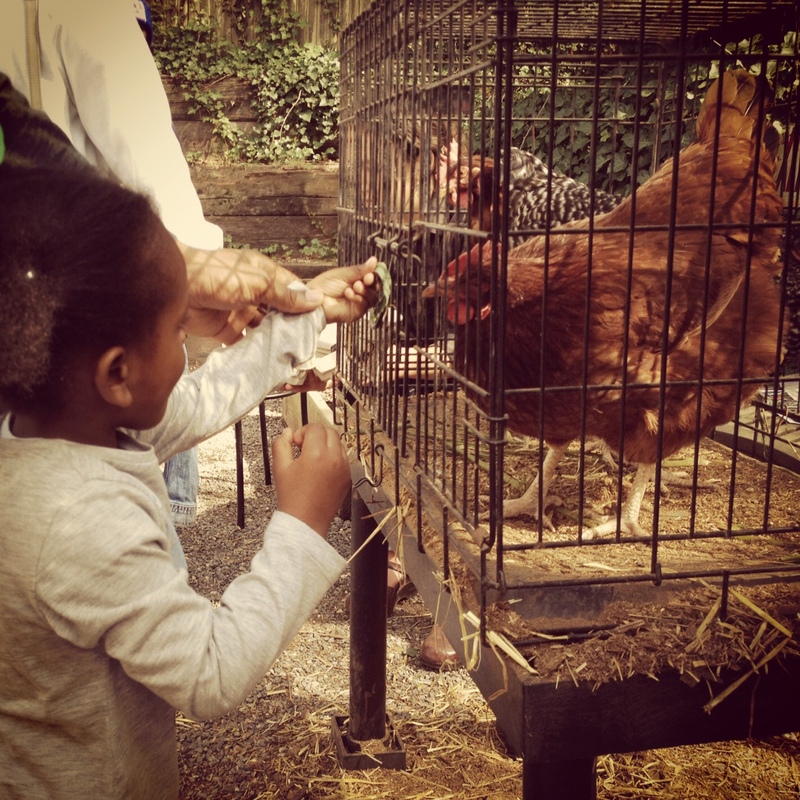 You can visit Imani Garden or have the chickens come to you! 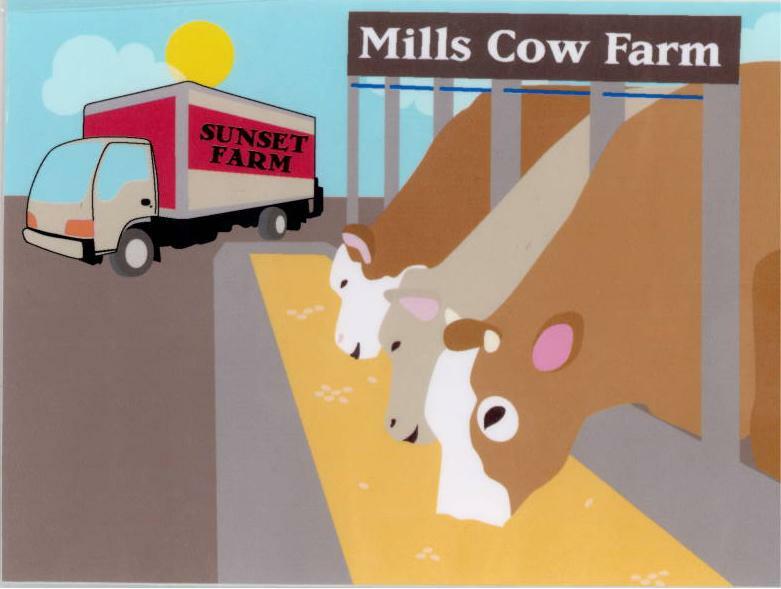 Contact them at eggs@bkfarmyards.org. Spring has arrived and there’s no better time to get gardening! If you’ve been interested in starting a school garden but hesitated because your school just doesn’t seem to have the green space to spare, a Woolly School Garden might be a perfect option for you. Woolly Pockets are hanging planters made of recycled plastic and engineered to wick water straight down to your plant’s roots. 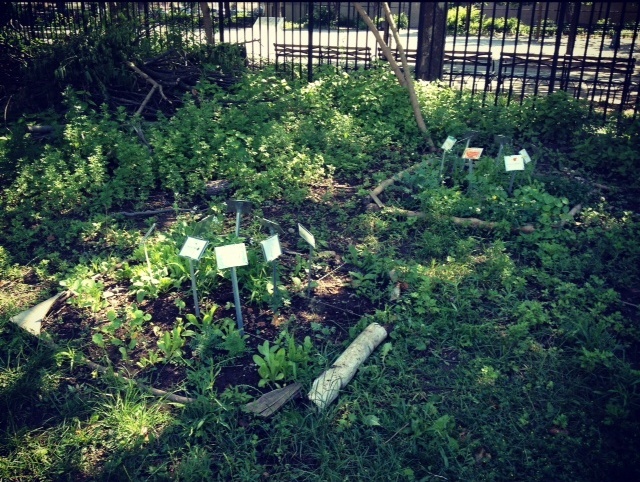 These gardens can hang on any available wall, rail, or fence at your school. With a little time and effort, you can also build your own vertical garden. Start with a south facing wall close to a water source….vertical gardens need to be watered 4-5 times a week because they lose water faster than other gardens. If your garden will be hanging on a wall, you’ll need a solid waterproof barrier to prevent water seepage and mold. You also want to be sure that your wall can bear the weight of wet soil and plants. 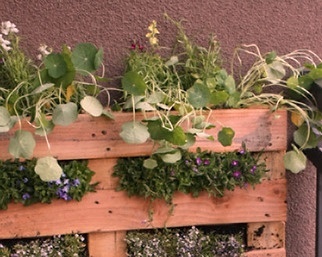 Check out this do-it-yourself guide for more tips on building a vertical garden. 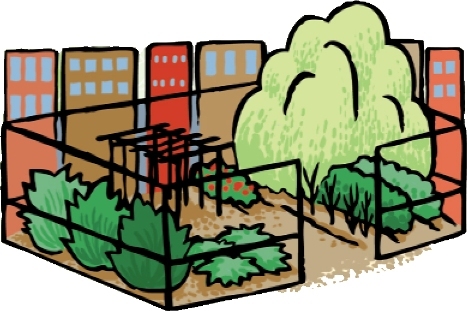 One nice thing about Woolly Pocket edible gardens is that their design helps conserve water and take out the guess work involved in building your own structure. They also come with standards-based nutrition and gardening curriculum and cost relatively little to install compared to the price of installing some full scale school gardens. The whole kit costs $1000 and Woolly Garden offers lots of fundraising options and tips. The even have a “Contribute” section on their site where people can donate to your project!